i Click 'view all' to instantly compare this ok deal with offers on other top desk lamps. 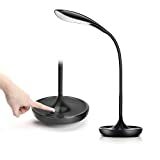 Fugetek LED Desk Study Lamp, Touch Control Dimmer, USB Port, Auto-off is currently selling at $24.99, which is its normal price. It has a lowest price of $24.99 and is selling within its usual range. Price volatility is 0.15% (meaning it does not change often), so you might have to wait a while for the price to drop. Until then this is a recommended 'ok deal'. The current deal is also the best price on this item over the last month. Compare the current price, savings (in dollars & percent) and Buy Ratings for the top Desk Lamps that are closely related to Fugetek LED Desk Study Lamp, Touch Control Dimmer, USB Port, Auto-off. Here is how Fugetek LED Desk Study Lamp, Touch Control Dimmer, USB Port, Auto-off compares with other leading Desk Lamps. 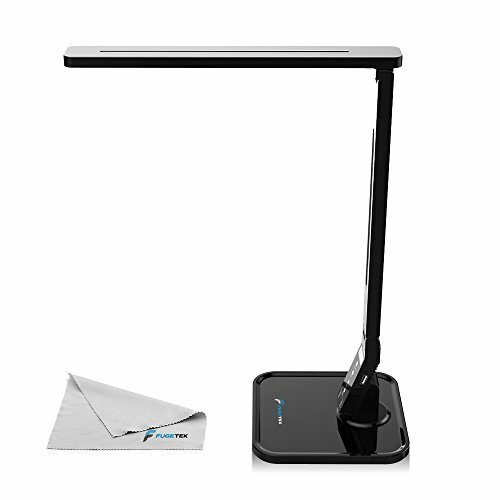 Fugetek Exclusive: Only Model With Recessed LED Design on Amazon The Fugetek LED Desk Lamp Provides Multi-Brightness Lighting For Home Or Office, In A Sleek Design. Have great lighting for work, reading, or studying. Works perfect on a desk, table, or nightstand. With 4 different modes of lighting, the ability to produce the perfect amount of light is at your fingertips. Using a energy saving LED Bulb as the lighting source, The LED can last up to 25 years without replacement.The Fugetek LED Desk Lamp is energy efficient and lowers your electricity bill ! Check Out These Features! - MULTI BRIGHTNESS & MODE LIGHTING: Lots Of Lighting Options, For Different Lighting Needs. Offers 4 Different Lighting Modes & 5 Levels Of Brightness. Touch Sensitive Dimmer. - LONGEST LIFE LED: Our Lamp Uses A LED Bulb That Will Last For 25 Years Under Normal Use. Economical, Reliable, & Energy Efficient. Rated At 14W. - EASY ON THE EYES: Provides Simulated Natural Light, Does Not Flicker, Low Stress On Eyes After Extended Use. Great For Working, Reading Or Studying. Home Or Office. - SMART PHONE CHARGING & TIMER FEATURES: Ability To Charge Smart Phone With USB Charging Port. Turn Light Off Automatically With 1 Hour Auto-Off Timer. - SLEEK & SPACE SAVING DESIGN: 15" High Modern Simple Design, Yet Great Looking. Can Be Used Anywhere Space Is An issue, But Quality Light Is Needed. Ability To Fold And Put Away For Easy Storage. NOTE: Only 5v 1-1.5a devices can be used to charge. Devices may be damaged if they require more than 5v 1-1.5a or higher voltage power. Features- Fugetek Exclusive* LOW PROFILE RECESSED LEDs: We are the only company that offers patented recessed LED's on this design of lamp. The competition has visible LED's that are hard on the eyes.- LONGEST LIFE LED: Our Lamp Uses A LED Bulb That Will Last Up To 50,000 Hours Under Normal Use. UL Certified Power Adapter. Economical, Reliable, & Energy Efficient. Power Consumption At 14W.- MULTI BRIGHTNESS & MODE LIGHTING: Lots Of Lighting Options, For Different Lighting Needs. Offers 4 Different Lighting Modes & 5 Levels Of Brightness. Touch Sensitive Dimmer. 530 Lumens. EASY ON THE EYES: Provides Simulated Natural Light, Does Not Flicker, Low Stress On Eyes After Extended Use. Great For Working, Reading Or Studying. Home Or Office.- SMART PHONE CHARGING & TIMER FEATURES: Ability To Charge Smart Phone With USB Charging Port. Turn Light Off Automatically With 1 Hour Auto-Off Timer. Charge Smart Phone While Using Light. NOTE *Only For Devices That Are 5V, 1-1.5A. Not For Charging Tablets. Devices may be damaged if they require more than 5v 1-1.5a or higher voltage power. *Unit Uses AC Adapter For Power. Not Wireless.